Donna Marie (Née Lohman) Mechmann of Warminster, left this Earth on March 24, 2019 surrounded by her loved ones. Born August 31,1953, she was 66 years young. One of her claims to fame was being married to her soulmate, Bill Mechmann for 36 years. She was the beautiful Daughter of Claire & the (late) Robert Lohman. Adoring Mother to Lauren Mechmann and future Mother-in-Law to Shane Breen. Loving Sister to Robert (Mary) Lohman and Michael (Mary Ann) Lohman. Aunt, Cousin, and Friend to many. Donna’s caring and loving soul touched all of those who knew her. In her childhood and youth, she spent countless Summers up in Canada with her parents and brothers, fishing, and creating lasting memories. A Graduate of Council Rock High School and Bucks CCC, She remained a lifetime, local resident of the Bucks County area. No matter what was going on, she always woke up with a smile and started Her mornings with a cup of coffee and sitting with her two dogs. Donna always had a fond love of her gardens and the wildlife that surrounded her. She spent many years transforming her backyard into her dream gardens, where she enjoyed many a night with her Husband, Daughter, Son-in-Law, and Neighbors. Donna had an uncanny ability to reach people in a deep and positive way. Her exuberance and love of life impressed all who were around her. 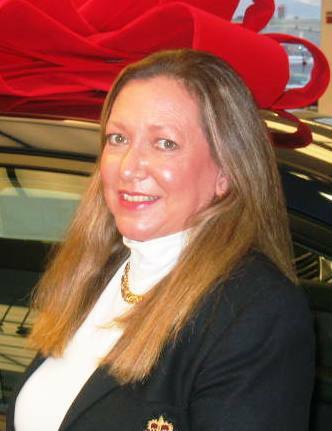 After a long career in department store management (A&S), the last 15 years of her professional life were spent as the Sales Manager of O’Neil Nissan. Not only was she an amazing woman to her family, but she touched the many lives of her Co-workers, and Customers. As she said in one of her commercials for work, she cared about “the People”. Donna had a personality that could brighten anyone’s day. Her family knows her legacy will continue on through the lives that she touched. She was a Mother Hen to many, a Best Friend, and always there when you needed a laugh. Relatives and friends are invited to her Celebration of Life on Friday, April 5th at 11:00 a.m. where her family will receive friends after 10:00 a.m. at Schneider Funeral Home, 431 N. York Road, Hatboro. Interment will be private.